San Antonio Marriott Rivercenter served as the host hotel for the 2018 Annual Session. Room rate was $219 per night (excluding taxes and surcharges). The Annual Session has been approved by the following. Upon completion of the approved program, each AFCPE certified professional must complete the Individual CEU Form: https://my.afcpe.org/credits/new and include proof of participation. Contact Hours - 21 OR 2.1 CEUs towards CFLE credential. At the completion of the Annual Session, please email [email protected] for a completed certificate. The CDR is requesting participants of the 2018 Annual Session needing CEUs to complete their online form at the conclusion of the event. If you need proof of participation, please email [email protected]. If you are in need of a Certificate of Completion from the 2018 NEAFCS Annual Session, please email us at [email protected]. Product/Service Description: Stop by our promotional sales tables to take home some Hershey magic before you head to Pennsylvania next year! We’ll have a wide-ranging variety of mini-raffle groupings sure to satisfy your sweet tooth and love of all things Hershey and chocolate -- both new and vintage! We’ll also have information to help you maximize your stay in Hershey as well as Lancaster, Gettysburg or Philadelphia – all short drives for that perfect pre- or post-conference getaway! Product/Service Description: Award-winning, video-based education programs that cover topics including parenting, character education, and school success. Product/Service Description: Insurance company that provides services to agriculture related professionals. Product/Service Description: The Alabama Cooperative Extension System advances research and outreach that supports healthy people, strong families and elevated communities. The HSE-FCS exhibit will showcase program impacts, high quality programs, and award winning curricula. Product/Service Description: AAFCS is a broad-based membership organization that helps connect FCS professionals across multiple practice settings and content areas to share knowledge, research and experience. Product/Service Description: Thank you NEAFCS for helping ACI help others achieve better living and cleaning since 1969. Together, we have helped millions of families use and store cleaning products safely in their homes. Stop by and learn more about our new blog and new educational materials. www.cleaninginstitute.org. Product/Service Description: The AIL Special Risk Division provides blanket group accident insurance policies for all Cooperative Extension groups and programs nationwide. We ave specialized in working with Extension for over 60 years and pride ourselves on personal and professional service. Product/Service Description: CATCH (Coordinated Approach to Child Health) boosts nutrition education and physical activity with USDA approved curricula and training options for elementary & middle school age and CATCH early childhood for preschool. Product/Service Description: Consumer Financial Protection Bureau offers resources and materials. Product/Service Description: Journal of Extension is a research-based and peer-reviewed resource for Extension Professionals to use for outreach and engagement. Extension Journal, Inc. also is the host for the Extension Job Bank listing of Extension positions throughout the United States. 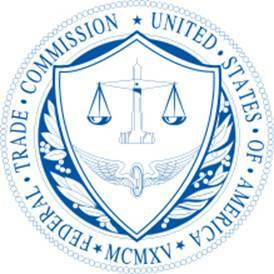 Product/Service Description: The Federal Trade Commission offers free print and online material for consumers and educators. The articles, worksheets, brochures and videos found at Consumer.Gov, IdentityTheft.gov and FTC.gov/PassItOn help people manage money, deal with credit and debt, avoid scams, and report and recover from identity theft. Product/Service Description: Organization whose members are 7 associations of Extension Professionals. Product/Service Description: OEIE provides comprehensive and collaborative project development, strategic planning, and evaluation services. From proposal development to final reports, our team works to enhance program capacity and impact. We built and support the web-based Program Evaluation and Reporting System (PEARS), which can greatly streamline data management and reporting efforts. Product/Service Description: Learning ZoneXpress creates fresh, engaging resources to promote nutrition, wellness, and physical activity. Our posters, handouts, banners and games help clients make positive, health-related behavior changes. Stop by to see why extension customers turn to Learning ZoneXpress and to pick up free samples of what works. For more information, visit www.learningzonexpress.com. Product/Service Description: The Military Families Learning Network (MFLN) engages military family service providers and Cooperative Extension Educators in the exchange of experiences and research to enhance professional impact and encourage professional growth. Product/Service Description: The NASCO Family and Consumer Sciences catalog offers a complete line of hands-on-educational materials, including Ready-Or-Not-Tot ® and Love to Care parenting simulators, and curriculum; nutrition educational material featuring the Life/form ® replicas as well as the only MyPlate with Dairy attached; family and consumer sciences games, books, software, and videos; classroom equipment and furniture; housewares and improved culinary equipment line, and sewing equipment. Product/Service Description: For over 110 years Presto has been a leader in food preservation, first as a manufacturer of industrial size pressure canners, known as “canner retorts” for commercial canneries and then smaller size canners for household use. Today, Presto remains a recognized brand of pressure canners, dehydrators as well as electrical housewares. Product/Service Description: Stop by and stock up on some marketing merchandise that shows your NEAFCS colors! Add to your own collection of NEAFCS items or pick up some thank you or appreciation gifts for colleagues, guest speakers, key committee chairs, and state affiliate members. The booth also will host someone from the Endowment Committee to collect donations to the NEAFCS Endowment Fund. Product/Service Description: Stop by this booth to find out about the candidates who are running for national board positions. Product/Service Description: Newell Brands Inc., the makers of the 130+ year old Ball® home canning brand, continues to raise the bar on its iconic mason jar with product innovations and recipe development/validation. Produce/Service Description: Northarvest Bean Growers Assn supports all markets by providing resources and recipes that help nutrition professionals make dry beans a simply delicious, naturally nutritious part of daily meals. Please visit www.beaninstitute.com for more information, including quantity recipes with meal component analysis. Product/Service Description: The OrganWise Guys (OWG) is an evidence-based, obesity prevention program that uses the school or child-care center as the hub of healthy activity to positively impact the community at large. OWG seamlessly integrates core curricula objectives and healthy living education while it connects with kids to incite lifelong behavior change. Product/Service Description: The Sugar Association provides informative publications on sugars role in a healthy diet and lifestyle. Product/Service Description: This exhibit will offer information about educational life skills programming for homeless and unstably housed youth and young adults through the multi-state USDA Vulnerable Populations - Homeless Youth Subcommittee. The exhibit will spotlight programming in Kentucky and provide resources for networking and programming ideas for working with highly vulnerable youth. Oklahoma - Get your NEAFCS Bling on with a sparkling new bracelet or two! You won’t want to miss the sparkle and shine of NEAFCS jewelry... come see us and brighten your wardrobe! Michigan - Variety of curricula from MSU Extension: RELAX, Relajarse, Building Strong Adolescents and others. Illinois - Stop by our table to purchase the All My Money: Change for the Better - financial management curriculum.